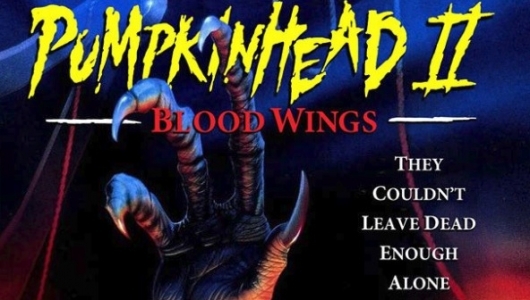 Directed by Jeff Burr (Leatherface: The Texas Chainsaw Massacre III), Pumpkinhead II: Blood Wings is the 1993 direct-to-video sequel to Stan Winston’s 1988 film about a vengeful demon that dismembers thrill-seeking teenagers. 1958. The Ferren Woods. An old blind witch, Ms. Osie (Lilyan Chauvin), tends to a deformed orphan named Tommy (Jean-Paul Manoux) – the offspring of Pumpkinhead. A gang of hot-roddin’ kids spot the boy and, convinced he’s some sort of demonic monster, chase him through the woods with switchblades and baseball bats.Eventually, the kids corner him at an old abandoned mine, where they stab him and throw him down into the mine, killing him. 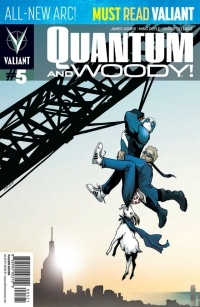 James Asmus continues writing duties for Quantum and Woody #5 along with illustrator Ming Doyle and colorist Jordie Bellaire. Fresh off their first adventure, the two misfit brothers who’ve accidentally gained super powers are taking on life together — and this time they’ve brought a pet goat along for the ride! Upon realizing that the bracelets Eric (secretly the superhero named Quantum) and Woody both wear force them to rejuvenate their powers every 24 hours or else they’ll perish, the brothers put aside their differences and move in together. Unfortunately for Eric, Woody — acting like an immature child as always — invites a beautiful clone of the evil scientist who killed their father to live with them. The two men soon begin to grasp the notion that having powers is quite the adjustment. Meanwhile, there are blatantly evil happenings going on all over the city and someone very close to Eric wishes to take advantage of his new found abilities. After years of reading Conan comics, I suddenly realized that you either love Conan or you don’t love Conan. Right now Dark Horse is publishing Conan the Barbarian by Brian Wood and Becky Cloonan. That book is for people who don’t love Conan. But, King Conan: The Phoenix & The Sword is for people like me, who love Conan. 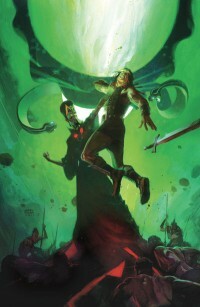 King Conan: The Phoenix & The Sword #3, simply put, is a really FUN issue. First off, I don’t know if it’s intentional or not, but writer Timothy Truman includes a lot of nods to the early ’90s Conan the Adventurer cartoon series, from names of places to a little nod to a certain cartoon sidekick Phoenix. The beautiful part is that it fits totally into the story, which, on its own merits, is very cool. 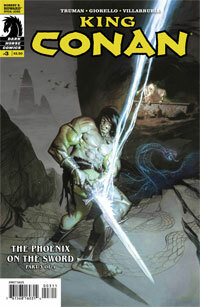 I really REALLY wanted to like King Conan: The Phoenix on the Sword #2. Honestly, I did. But, for a variety of reasons, I just couldn’t. First off, let’s get this outta the way. Tim Truman is a legend in the business. That being said, everyone has an off day. The biggest problem that I had with this issue is that Conan is hardly in it. He doesn’t show up until the last quarter of the book, and then it’s just for a reveal that really doesn’t mean that much. This issue will probably read better in trade than it does in single issue format. As a reader of Blue Estate from the start I have seen this series develop piece after piece of an intricate puzzle, and Blue Estate #8 is no exception. 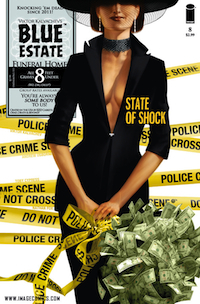 As the body count grows in Blue Estate, so do the stakes. 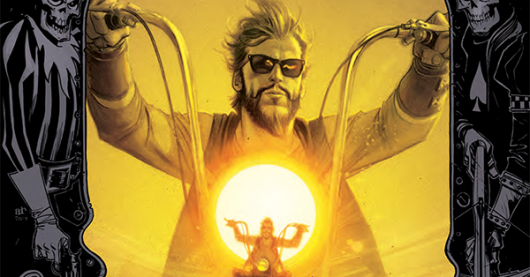 Blue Estate #8 puts a price on the head of just about everyone in it and leaves you as the reader feeling that no one is safe. 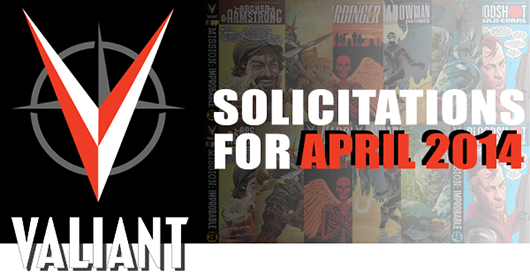 This issue has significantly less action than previous installments, but provides groundwork for the inevitable crime spree that is sure to come.